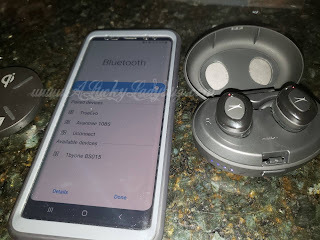 Being the type of person that loves listening to music regardless of what I am doing, I am always scooping up the latest devices to do so on the go. As a blogger technology and electronics are a huge part of my life! Because I spend so much time outdoors, I hate being tied to any type of cords, outlets, or connections! 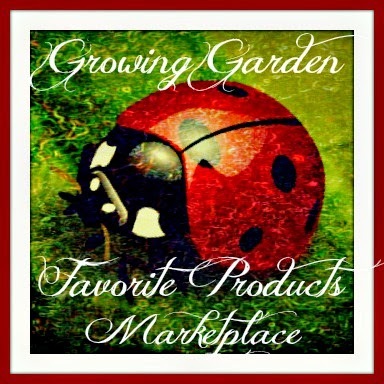 So when I come across a product or brand that keeps me feeling free, I am all about it! While searching out a few devices for this Summer, I discovered the brand Altec Lansing. 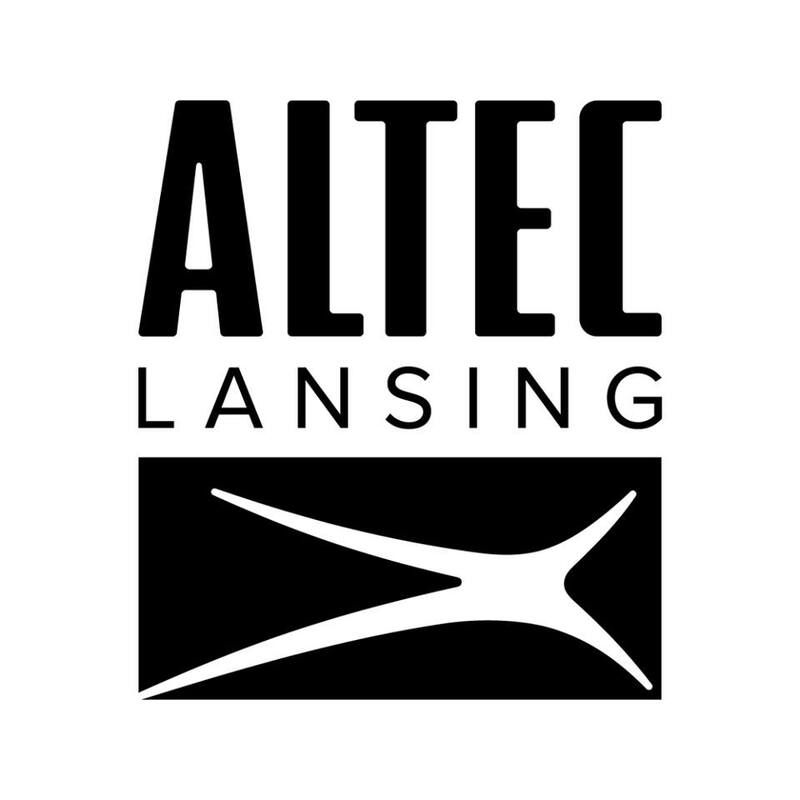 Around since 1927, Altec Lansing is a pioneer in the sound industry. Literally the first statement in their "About" section says "Sound Comes First" and I truly believe the same. Silence may be golden but in my house, we thrive on music. 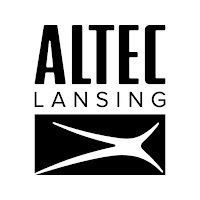 The products from Altec Lansing motivate us to get moving and live positively! Instead of carrying around a boombox like in the 80's or a cd player in the 90's whenever you wanted to hear some music, kids now have iPods and tablets, or play directly from their phones. With the Jolt Mini LifeJacket Portable Bluetooth Speaker, you can take your "sound" with you wherever you go. 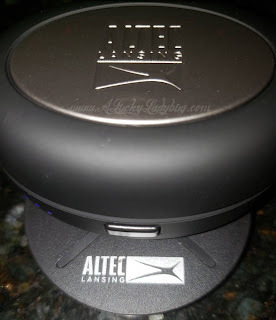 This awesome little speaker is pretty freaking awesome as its 100-foot wireless range streams from any bluetooth device. You can use voice assistants like Google or Siri, and any other hands-free functions from your smartphone. You can even pair the "speaker with up to 50 House Party Pairing enabled speakers at once". 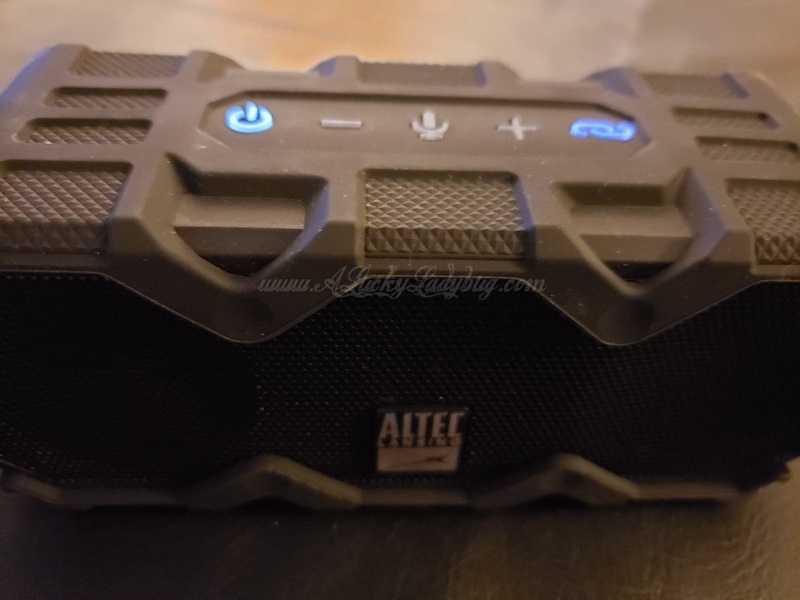 But the coolest feature in my opinion, is the fact this water resistant speaker also says it "withstands the elements and floats on water". This means we can take it out on the boat or use it while camping without any worry. 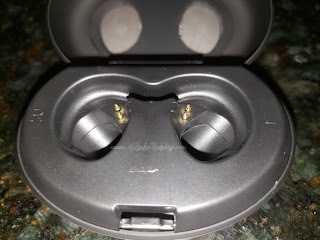 The rugged design makes it perfect for any outdoor enthusiast or family like mine that's always on the go. Not only are we a musically motivated family and always on the go, but my husband has an extremely long drive from work each day. Because he drives an older vehicle, he does not have a hand free system built into the car. 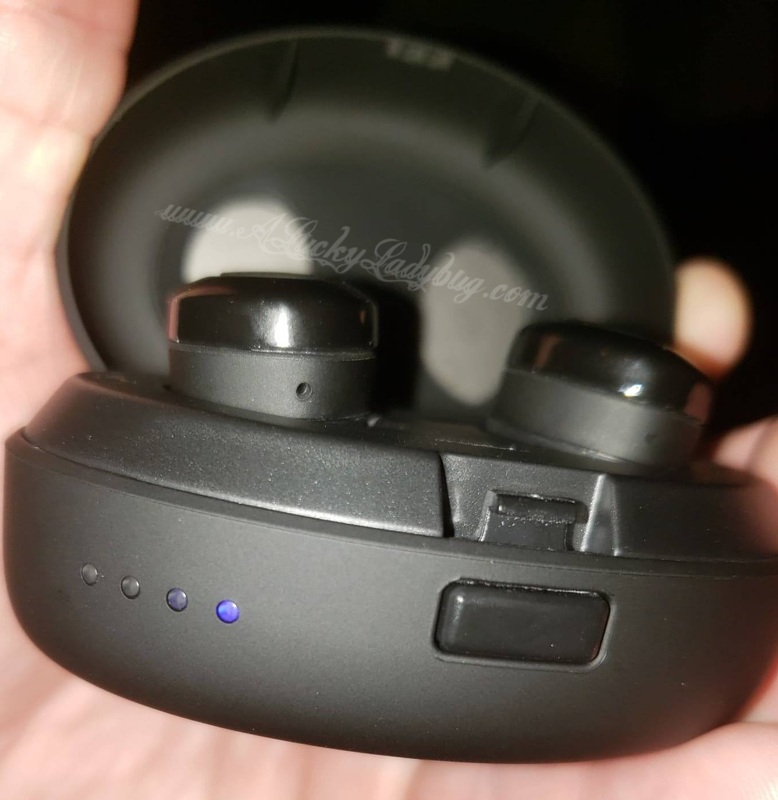 So he relies heavily on wireless earbuds if he needs to make or take phone calls. 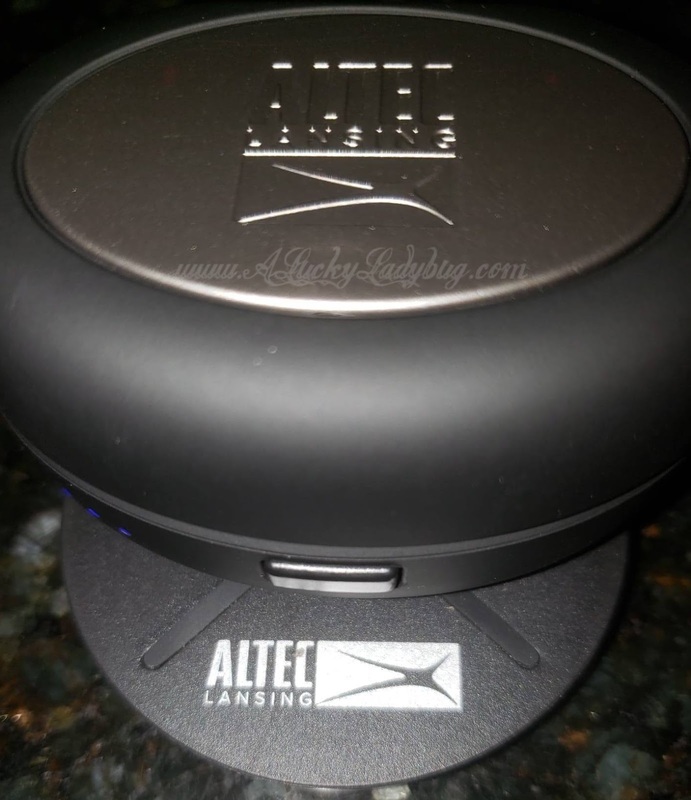 The True Evo Wireless In-Ear Headphones from Altec Lansing are perfect for use on his drive. They pair easily with any Bluetooth-enabled device and can last for up to 4 hours on one charge. Kevin loves that they charge easily in the case and on the charging mat. 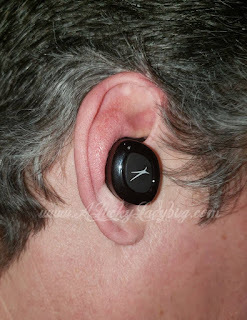 This came with multiple size ear caps too so it's easy to find your perfect fit. We couldn't believe how loud these little earbuds were and the unbelievable quality in sound. They are even water resistant so you can use them in even more scenarios. 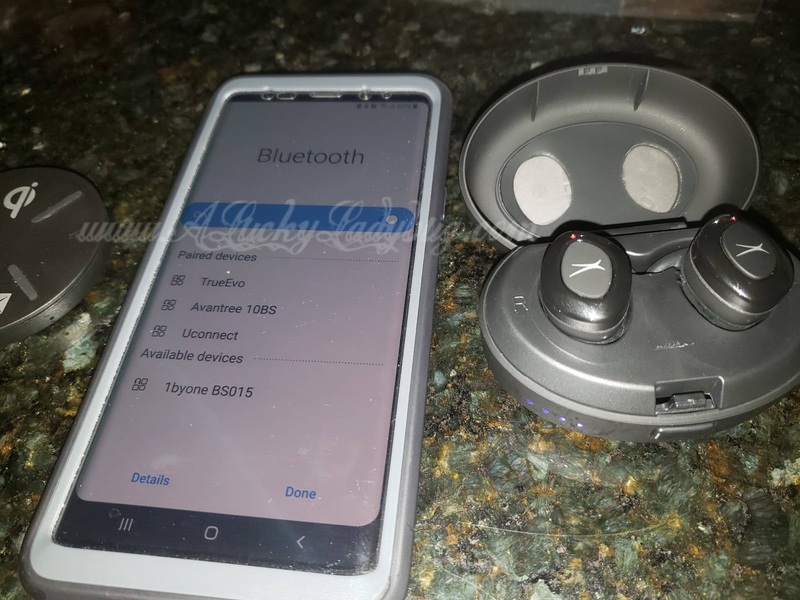 Best part is you can take your music anywhere without restrictions when it comes to both the earbud and wireless speaker devices. You will be the life of the party because no matter how many people or how loud the crowd is you will still be able to hear your music! We are seriously impressed with the sound power these both have! 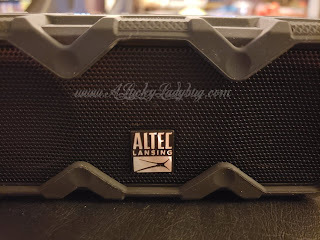 Altec Lansing is a truly quality brand when it comes to all our family's sound related needs. Giveaway: Altec Lansing is going to give TWO of A Lucky Ladybug's very lucky readers *one of the Altec products to have of their own! 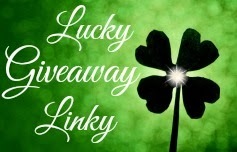 *One winner will get a pair of True Evo Wireless In-Ear Headphones. 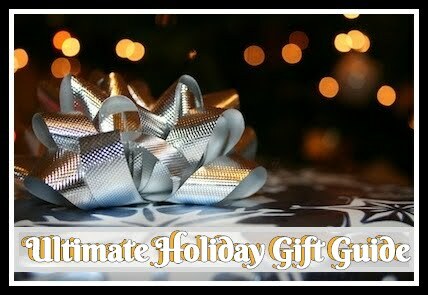 One winner will get a Jolt Mini LifeJacket Portable Bluetooth Speaker.